floor plans, and maps. Comprehensive information for planning, traveling, and dining is also included, along with an entire section devoted to extra-special Disney magic. Design your vacation with the help of six planning worksheets, write your itinerary on the front of each organizer pocket before you go, store guide maps, brochures, tickets, and receipts inside the pockets while you're there, and record expenses and memories to review and share when you return. 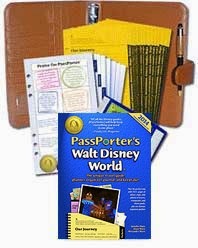 This is the ultimate traveling companion for Walt Disney World! We have a 50% off coupon for all our e-books, including our EPUB (for iPad and Nook) and MOBI (for Kindle), as well as all dozen of our PDFs. Just use coupon code 50off at checkout in the PassPorter Store to get 50% off. Here are this week's PassPorter annnouncements in brief -- to learn more, click a Read Details link! Now that offsite guests can make FastPass+ ride reservations too, PassPorter is partnering with MapleLeafTickets.com to bring you awesome discounts on Disney park tickets! You can read all about why we think MapleLeafTickets, the oldest contracted discount ticket agent for Walt Disney World, is "the bomb" on the PassPorter Blog. And we're making the link with discounts available first to PassPorter's Club passholders and YOU, our newsletter subscribers! I have never been to Disney - Not Disney World, nor Disney Land, but have always wanted to plan a trip and take my kiddos. My husband and I had planned to surprise them over Spring Break this year with a trip to Disney World so I immediately went online to search for the best way to prepare for a trip to a huge amusement park like DW. One of the first places that many bloggers sent me was to Passporter.com to find their amazing trip planning guide. When I received it I was completely amazed and a bit overwhelmed - it is so organized! There is nearly everything I could possibly need contained inside! Pages and Pages full of great information, maps, pockets to keep my personal papers, receipts, tickets and more safe and secure. It is sturdy, spiral bound and easy to use. 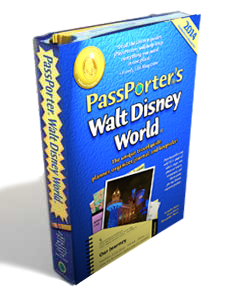 What a perfect travel planner and companion for a novice like me, but I've also read posts from experienced Disney travelers who ALWAYS use Passporter to make their trip planning easy and much less stressful! I highly recommend anyone planning a Disney grip to grab Passporter - oh, and if that isn't enough of an incentive - Passporter is also available in ebook - and is currently on sale for HALF OFF! Passporter is frequently sending me updates on their information - I've included a tiny snippet from the most recent email - it also includes ticket coupons and even a Free Dining, Travel Tips, Discount Coupons, Insider Hints and Tricks and much much more! **For those who are local to my area - Tonight is our BIG Fundraising event at Inspired Arts Academy and I'll be giving away 2 of these great books along with some other great Disney vacation books! Join me tonight from 6-9pm! What a great idea for organizing family travel! My children are grown but we traveled quite often and I would have loved to have something like this! I always liked travel games. Looks like tons of fuN! I never realized how much planning went into a trip to Disney. I have never been! But I'd love to take my kids when they're older.